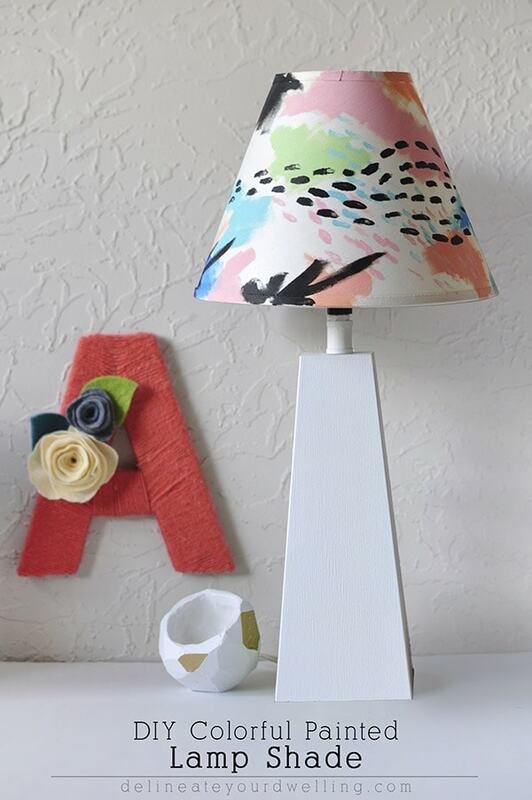 INSIDE : Give an old lamp shade a completely new look with minimal cost at all. 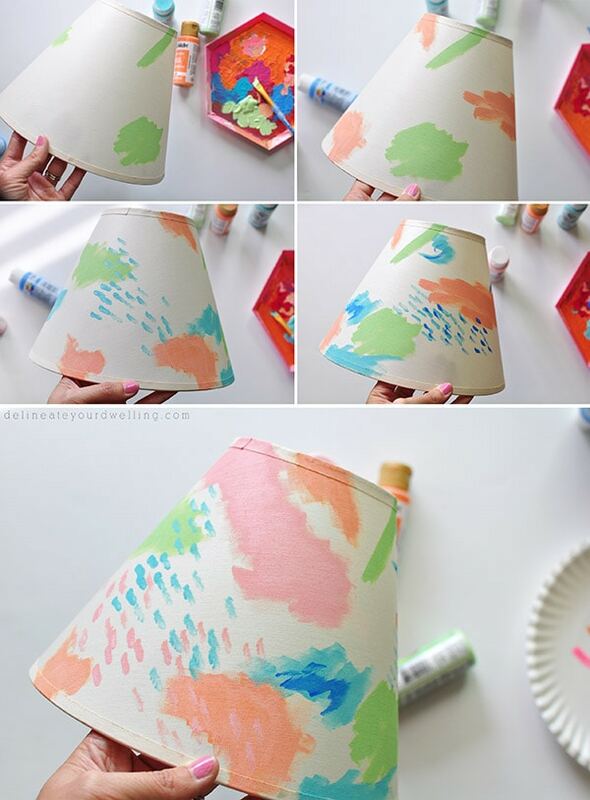 Learn how to make a painted DIY Lampshade for your home! 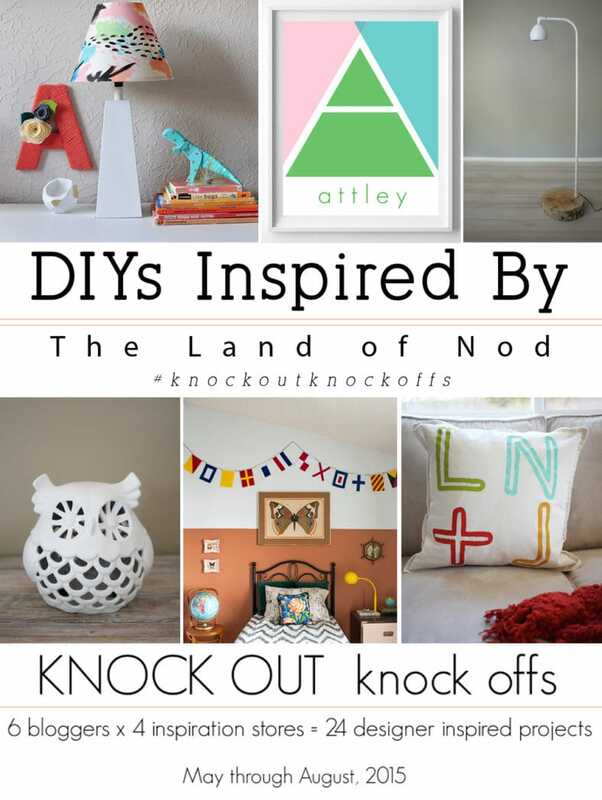 Today is the second of our Inspired By challenge and we are being inspired by one of the coolest stores, Land of Nod (now Crate and Barrel kids). I have been a huge fan for a while and today am excited to share my DIY Colorful Painted Lamp Shade inspired by one of their items. You might be thinking, isn’t Crate and Barrel kids just a cool store for kids? Well, yes and no. They have stunning lamps, awesome artwork and amazing storage. I would furnish my entire house there if I could afford it. 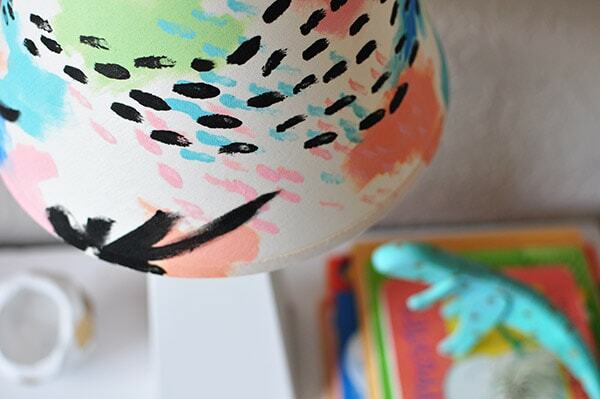 I actually pinned this colorful lamp shade forever ago and when our knock out knock off challenge came up, I was thrilled to already know what I was going to make! I already owned the white lamp base from Target. Then, I went to my local Goodwill and bought the white lamp shade for $7. However, if you were to buy these two items new it would still cost quite a bit less than Land of Nod’s $49 price. What supplies do I need to paint a lampshade? 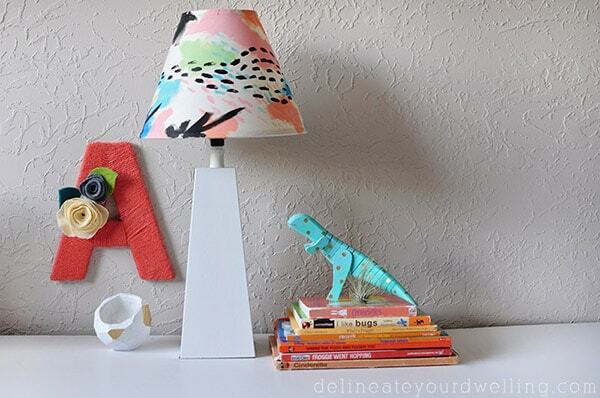 This DIY Lampshade could not be an easier project. First, don’t be nervous! Simply color by color, I added layers of splots, lines and dots. 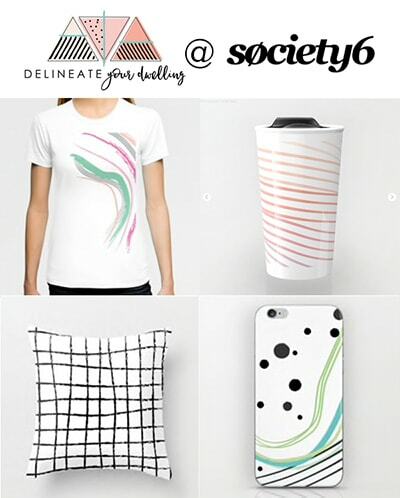 Sometimes it can be hard to be random and abstract but have fun creating this happy whimsical pattern inspired by my shade. Isn’t it lovely seeing it slowly take shape?!! I love it. 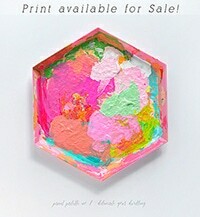 I started by adding a soft sherbet green acrylic paint color. Next, I added in some soft orange and sky blue shapes and lines. 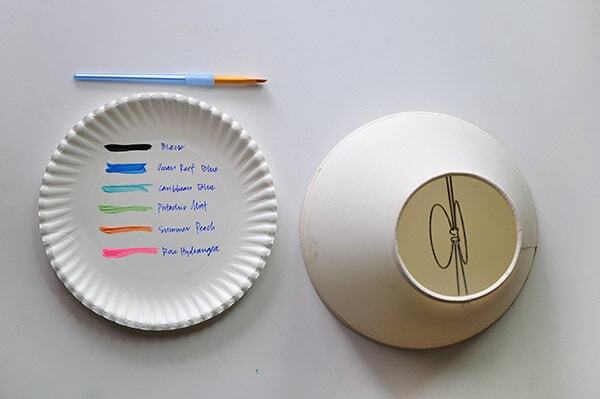 Then add a bold contrasting color, like a bright blue paint. At the very end, I added some black to really set off the colors. Once the acrylic paint had dried, the lampshade was ready to install and put back on the lamp. It has been four years since I originally painted this lampshade and it looks exactly the same today as it did back then. It has held up remarkably well without any issue! After it was all done, I could not decide for the life of me which lamp to put this on because it’s just so fun… so here are my two options! Green base or white base??! I ended up going with the white base as it lives in my daughter’s bedroom. Through August, we will be showcasing an inspired project from a pre-decided home decor store. Be sure to check out the other amazing projects and the projects from last month! 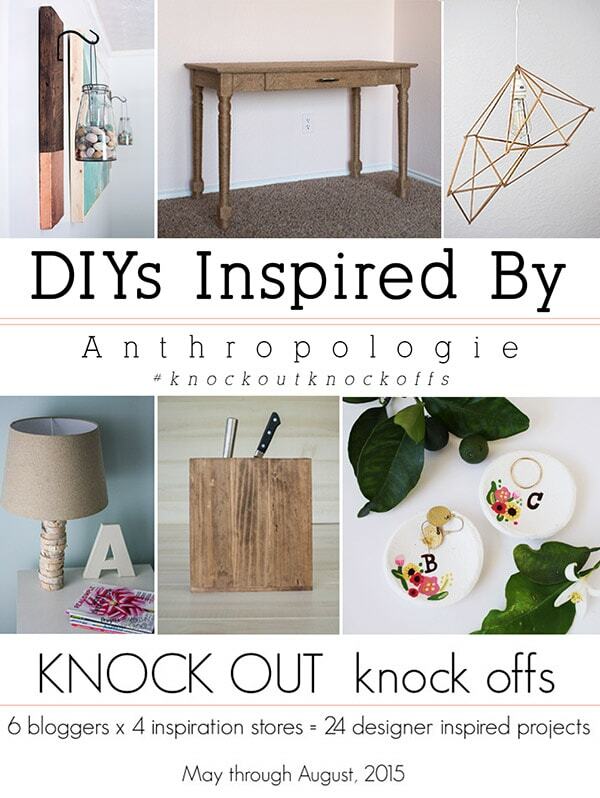 You can see my 2015 and 2014 Knock Off Knock Out projects here! Hi, I’m totally new to DIY and this will be my first project. I do have one question, does the shade have to be white? Thanks for sharing this. Hello Frances, thanks for your question! No, the lampshade can be any color really. I would guess you would just need to use paint colors that would show up, but otherwise the sky is the limit! Good luck! It’s my first time reading your blog, after following a series of links that somehow landed me here. 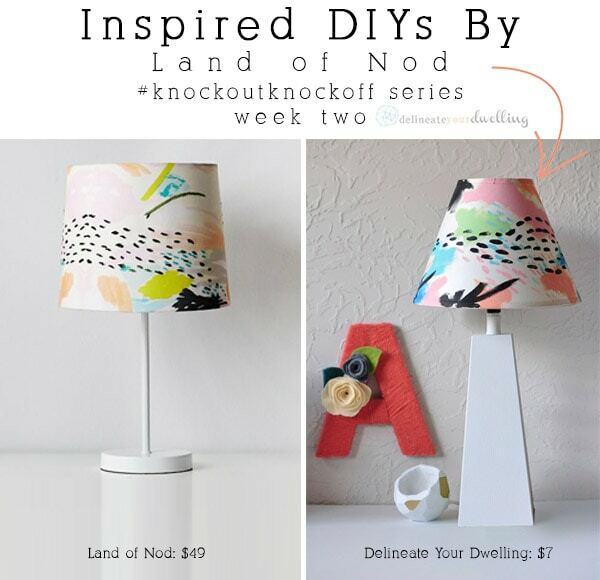 You’re DIY is alright, sure, the end result looks good – but it’s kind of insane that you didn’t acknowledge that this is another artists work (licensed by Land of Nod) that you just ripped off. Surprised that no one else has mentioned. Thank you for stopping by, Victoria. Good eye! This lamp is actually inspired by Land of Nod as written in and linked to, in the original post. It’s part of a monthly series I participated in from last year. Thanks for chiming in! so adorable! You’re so talented! Thanks for linking up to Outside the Box! You’re featured this week! Oh no! What did I say? This looks very 80s. It’s adorable. Thanks for posting. Hello from Totally Terrific Tuesday. I love that you made this (and I love the animated gif, too!). I really like the white base, personally. Great job, Amy! You did a great job–I love this mix of colors and patterns. I vote for the green base! Beauuutiful. Love the bolder colors you used! Thanks so much, Amy! I had fun with being a bit more abstract. LOVE IT!! Seriously, you rocked this one. My vote is for the green base, but I like both of them! Pinning! Thanks Gilly! I kept wanting to just go with the white base, but I loved the green so much that I couldn’t decide! Thank you, Heather! It’s such a fun series to participate in. I like the green one,colourful and all those curves! Your version is just stunning! I love the way it turned out! I’ll cast my vote, too – white lamp all the way! Thanks girl! I just kept going back and forth on the lamp base… I ended up with white because it’s higher up on a shelf and my daughter just wants to keep touching the new colorful lampshade – ha. I fell in love with this lamp shade as soon as I saw it on their site, which may be because I sorta have an obsession with lamp shades, haha. I really didn’t need another shade but am soooooo happy that you did this project because I LOVE how it turned out! I’m going to keep this idea in my back pocket because you just never know when you may need another lamp shade…. I like yours much better than the original too. But I thought almost everyone would say white for the base!! And that is definitely my vote. The green is cute, but the white has weight and a sophisticated style—more upscale maybe. The green seems outdated to me.